In today's world where resources are becoming increasingly scarce, individuals may soon need to find new ways to get around town without fossil fuels. Those looking to have some fun this summer or just to help the environment can consider the methods below to get around without using gasoline. The most practical ways of getting around without the assistance of fossil fuels is to simply ride a bike. These have been around for hundreds of years, yet they’re still an effective mode of transportation. 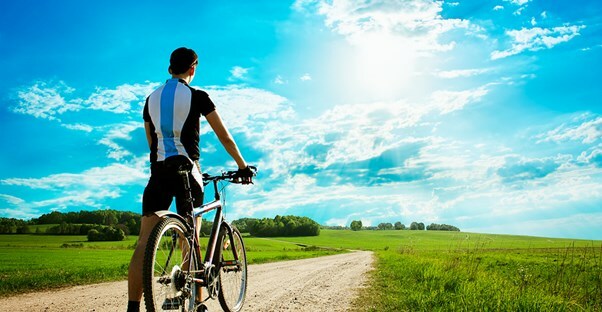 Best of all, riding a bike is an excellent form of exercise and thereby can improve overall health. Another way to get around town is to walk. Many individuals in large cities already walk to work since cars are unaffordable and impractical. Of course, even those living in the suburbs can walk or run to work. In former times, this was the common mode of transportation for those that could not afford a horse. Walking is also a great form of exercise and can provide much needed quiet time. If you enjoy skateboarding, then this is an excellent way to travel around town. However, if you’ve never been on a skateboard it probably isn’t the best choice. Skateboards cost around $100 and are easy to store in your home and carry around. Make sure to avoid the no-skateboard areas in your town though. Electric powered cars are an alternative to traditional vehicles. Some companies like Tesla are starting to offer these at more affordable prices, though they are still on the expensive side. Electric cars still rely on energy provided by coal-fired plants, but they use less fossil fuels than a standard car. For those living in the countryside, it may still be possible to ride a horse around town. When choosing this method, there are many considerations that might make this impractical. Riders will need to stop frequently to pick up byproducts that may be left behind. If your whole family needs to get around town, then hitch your horse up to a carriage. It might a bit smelly and it might be a tight squeeze in the carriage, but at least it saves gas. Horse-drawn-carriages are an excellent form of environment-friendly transportation for families. Since there won’t be radio in the carriage, your family can join together in a sing-along. Another practical solution is rollerblading around town. Strap your feet into a pair of blades and get to skating. Make sure you wear protective gear (i.e. helmet, knee and elbow pads, maybe even a cushion for your bum) just in case you lose control. Rollerblades aren’t expensive when compared to a car and required minimal upkeep. It is also an excellent form of exercise. Driving Classes: What Are Your Options?